Nudge In Business: Mission Impossible Or Win-Win? The nudge-doctrine is a strategy for creating smarter public solutions. However, other agents are also starting to show interest in nudge-like strategies as well. The nudge-doctrine is primarily known as a strategy-label for creating smarter public solutions in regards to health, economy and citizenship. But as the idea has evolved and disseminated, private companies and non-profit organizations have shown a keen interest in adopting nudge strategies as well. Businesses in the private market have a long history of using behavioral strategies when engaging with their customers, and they definitely have a lead on the public institutions when it comes to knowledge about their customers behavior and how to affect it. 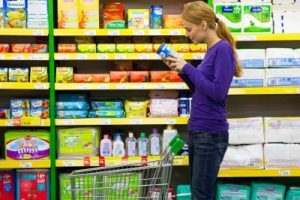 In the private market this has traditionally been referred to as marketing strategies, and it covers everything from fancy “buy one get one for free” offers to the supermarket’s space-management that always makes us buy more than we thought we needed. The key to unlocking the answer is found in the observation that in traditional marketing, there is no real need for the concept ‘nudge’. 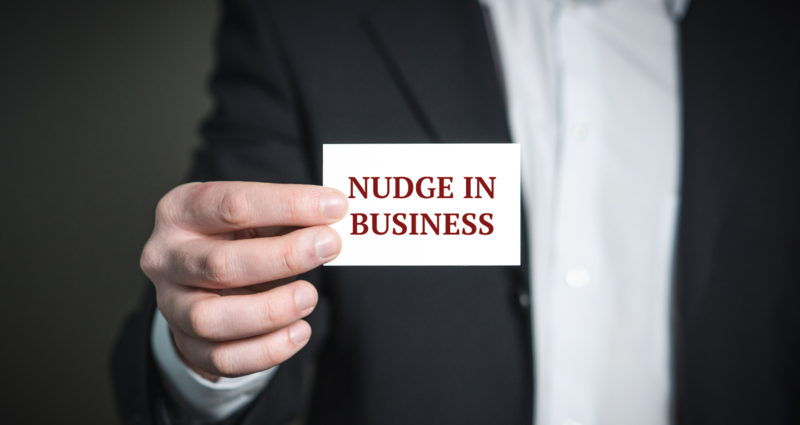 While nudging may be used in business, one may add to the definition of nudge the requirement that it should be used to make people better of according to their own reflected judgment. When this requirement is added we get Libertarian Paternalism. Accordingly, when we nudge people as libertarian paternalist, we have to make certain that we nudge them in a direction they themselves would have taken if they had thought things through and possessed infinite energy to monitor their preferences, and this solution has to work without restricting those who reach different conclusions than then one nudged for. However, marketing usually aims at increasing profits and usually achieves this without considering what people would actually prefer if given the time to think things through. As a result, the increase private business profits often end up making people worse off according to their own judgment. No one thinks that leaving a supermarket having spend 30 pct more than they initially planned leaves better them off (especially not when the 30 pct is spend on items that will also ruin their desire to loose weight), and who is really satisfied by watching money disappear every month for a fitness subscription they no longer use? Of course, when it has already happened, we are rarely willing as consumers to admit our own failure, and to resolve the resulting cognitive dissonance we conjure up reasons to rationalize our actions to save our self-image as rational and responsible decision makers. The difference between libertarian paternalism and marketing thus comes down to which end we aim to satisfy – the customer’s or the business? Unsurprisingly these elements are not as incompatible as they initially seem – take a company like Apple – who have made a hefty profit of supplying their customers with gadgets that are user friendly and intuitive, or a company like Amazon how have revolutionized customer service from something that used to be painful and slow to a pleasant hassle free process. In fact, a hall-mark of paying proper attention to the nudge-doctrine and getting acquainted with insights from behavioral economics, cognitive psychology and marketing is that it open up new alleys for identifying win-win strategies in the interaction between marketing and consumer welfare. If we know how to increase sales using floor-management, then why not sell more mineral water instead of softdrinks? And why not sell more whole wheat bread instead of bad white toast bread? If businesses are serious about nudge – we hope that the future will bring supermarkets that make you healthier by default, fitness subscriptions that automatically goes on time-out when you’re not using them and plane tickets that actually state the full costs before you buy them – only by then can the market truly be said to be nudgers.